Histories of print in South & Southeast Asia often touch on technologies of production in broad, cursory ways that conform to predetermined ideas about their deployment, their function, and their impact. However, there are ample historical indications of local engagements that contradict the characterisation of the print revolution as a uniform global phenomenon – or indeed as a revolution at all. Have narratives of influence and impact obscured the many personal and material engagements that constitute the social history of print and technology in Asian contexts? Moving away from sweeping histories of printing and publishing, this conference focuses on the more intimate scale of materials, processes, practices, as well as on labourers, tinkerers, entrepreneurs and other individuals in the history of print in South and Southeast Asia. With the aim of exploring material, practical, and technological involvement of individuals and social groups with objects, machinery, raw material, the movement, transportation, and dissemination of printing objects and printed matter, and indeed language, script, orthography – among many other facets of engagement – the conference invites papers that investigate South & Southeast Asian experiences in relation to any dimension of print production. The conference is free and open to all (no registration fee). We are unable to cover costs involved in travel and accommodation, however, early career researchers presenting at the conference will be reimbursed for economy travel (within UK). Tea/coffee and refreshments will be provided during the conference, lunch is not included. To attend the conference, free registration in advance is required as hall capacity is limited. We would like to thank The Bibliographical Society and The Printing Historical Society for their generous support in making this event possible. At the turn of the twentieth century, Muhammad Malik al-Kuttab Shirazi – one of the pioneering and most prolific publishers in Bombay – published a short book on the history of Baghdad in Persian. The book was titled Zinat al-Bilad fi Tarikh Baghdad (Adornment of the lands in the history of Baghdad). 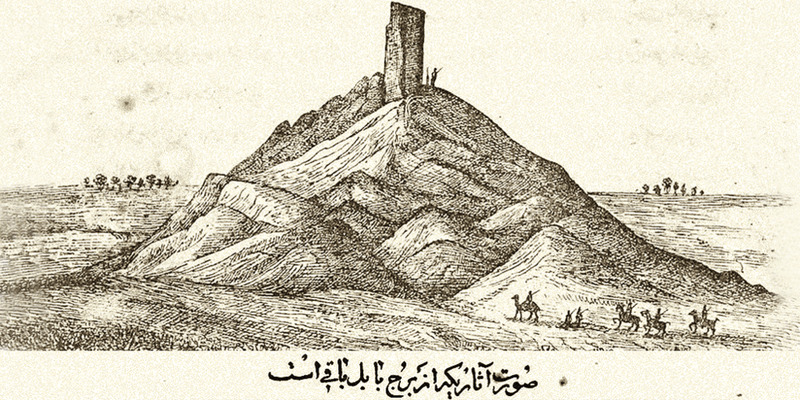 A close analysis of the text shows that it is largely a copied and edited version of an entry in an earlier lithograph published in Tehran, namely Mir’at ul-Buldan (The mirror of the lands) by I’timad al-Saltanah. The arguments of this paper are twofold: first, through close textual analysis of Zinat al-Bilad and Mir’at ul-Buldan, the paper uncovers an extensive body of Persian lithographs printed in both Iran and South Asia that were used as source material about Ottoman Baghdad. It thus highlights various techniques and motivations at play in both authoring and editing a text in the age of print. It serves as a commentary on the various ways a text, or many texts, were disseminated through print, in multiple editions. Second, by studying the network of scribes, publishers, and patrons involved in the making of Persian lithographs in Bombay, it is an inquiry into the persisting connections between Iran and South Asia in the late nineteenth and early twentieth century, as exposed through the production and dissemination of Persian lithographs. Taking into account the new possibilities that lithography offered, and the changes it precipitated, this paper argues that not only the format of the lithograph followed traditional means of manuscript production, but also that the networks of production in this process relied on existing early modern networks. Zeinab Azarbadegan is a PhD candidate at the Department of History, Columbia University, and an Assistant Editor for the journal Comparative Study of South Asia, Africa and the Middle East (CSSAAME). She is currently conducting research for her dissertation, which focuses on the contestation of sovereignty and citizenship among three empires – the Ottomans, Qajars, and the British – in late nineteenth- and early twentieth-century Ottoman Iraq. Her research interests include transnational networks of knowledge production, early photography and visual culture, as well as traditional and novel practises of patronage. As an effect of Islamic reformist movements, from the 1880s onwards, publication of Bangla translations of the Qur’an not only created a paradigm of individual reading agency, but also reinvigorated the authority of the ulama to create and control the meaning of the Divine Word. Such authority was energized through various Qu’ran translations and explanations via the hadith traditions by rival reformist platforms like Hanafi and Ahl-i Hadith in the competitive print market of Bengal. Simultaneously, religious agency was decentralized through the new madrasa education, enabling the common man, instead of just the ulama, to enact Qur’anic knowledge. This paper engages with a paratextual reading of the mass transmission of the Bangla Qur’an to examine how it consolidated the Bengal Muslim community vis-à-vis literary modernity. The paper will explore two paratextual elements in such publications: peritextual (textual add-ons) such as the preface, introduction, annotation and layout and epitextual (add-ons to the book) such as the publisher’s note and listings of other publications on the back cover to understand the dynamics of translation, circulation, and consumption of the Divine Word. The paper will examine how the collaborations between the author-translator and publisher negotiated print market norms while positing sacred value on the texts. The paper will specifically engage with the polemic created through translations of the Qur’an repertoire by the Bengal Muslim ulama and intelligentsia till the 1920s. I will discuss Qur’an translations, initiated by Brahmo missionary Girishchandra Sen, and those by Munshi Naimudin, Abbas Ali, Taslimuddin Ahmed and Madhu Mian, to understand their role in creating the polemic. Dr Epsita Halder is Assistant Professor at the Department of Comparative Literature, Jadavpur University, Kolkata. Her doctoral thesis explored different formulations of the battle of Karbala to understand the search for identity of the Bengali Muslims (late nineteenth to early twentieth century). She has been working on the Muharram traditions and Shia community’s identity formation in West Bengal, a part of which was accomplished with the Art Research and Documentation Grant of the India Foundation for the Arts, Bangalore (2011-2013). She is Charles Wallace India Trust Visiting Fellow at the School of Oriental and African Studies (2018), a recipient of Sarai-CSDS Social Media Fellowship (2016), and CWIT Short Term Fellowship (2011). She is currently working on the interface between new media and Shia religiosity in Bengal. The commercial theatre that developed in Bombay in the late nineteenth century was closely affiliated with the growth of print culture in this period. Numerous publications were based on play productions and sold by theatre companies themselves. Play-scripts, songbooks, and chapbooks with skits and illustrations formed an integral part of the experience of theatre-goers as well as an important aspect of the expansion of print culture. The theatre, therefore, had a significant effect on the range and content of commercial print, popular tastes, and fashion. This paper explores the connection between theatre and print through a study of two screen-plays printed in Judeo-Urdu, i.e. Urdu written in Hebrew script, published in Bombay and Calcutta in the late nineteenth century by Jewish-owned publishing houses. Several presses owned by Baghdadi Jews, who migrated to India following the consolidation of British colonialism, operated in Calcutta and Bombay in the late nineteenth and early twentieth centuries. These presses published mostly books and pamphlets of religious content, mainly in Judeo-Arabic, i.e. Arabic written in Hebrew script, as was used by Middle-Eastern Jews for many centuries. 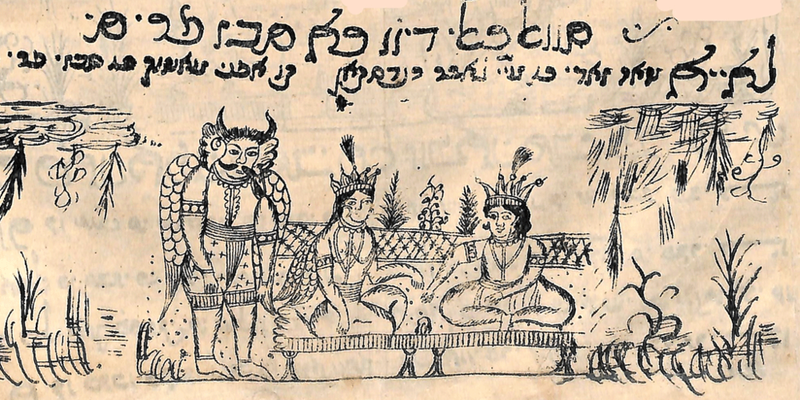 In addition, these publishers printed several works in both Marathi and Hebrew, for the benefit of the Bene-Israel, the community of Marathi-speaking Jews. Remarkably, there is also a very small number of printed books in Judeo-Urdu, two of these are play-scripts of famous plays: one is a lithograph of the well-known play Indar Sabha, composed by the poet Amanat from Lucknow in 1853, and the other is a Laila-Majnun play composed by Nusrawanji Mihrabanji Aram for the Parsi theatre sometime in the 1870s. The Laila-Majnun play by Aram was also published in 1887 in Gujarati script by a Bombay-based press. This experimentation with scripts and orthography is mirrored in the content of these plays, known for their eclectic use of different meters, registers, and poetic idioms. Through a close look at these texts I will explore the unique connection of several minority groups – Parsis, Jews, Konkani Muslims, and others – to commercial theatre and print production in colonial India. Dr Michal Hasson is currently a Postdoctoral Fellow at the Hebrew University in Jerusalem with the Lady Davis Fellowship Trust. Her research interests include Islam in South Asia, popular literature in Hindi and Urdu, and South Asian Sufism. She is a recent PhD graduate from Harvard University. Her dissertation, titled ‘Crazy in love: the story of Laila and Majnun in early modern South Asia’, explored the emergence and flourishing of vernacular literary cultures in Brajbhasha, Dakhani, and Urdu through the famous love story of Laila and Majnun in its numerous narrative variations, as well as representations in material culture. She earned her BA in Islamic studies and MA in South Asian studies at the Hebrew University of Jerusalem. 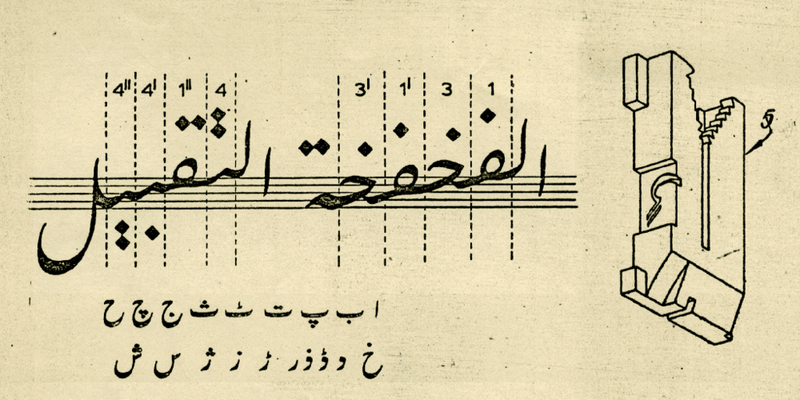 The typographic representation of the Urdu language – particularly in the Nasta’liq script, which is the preferred form of written Urdu – has been a challenging task for printers and typefounders for centuries. In the 1960s, in an effort ‘to evolve a process which may harmonize the basic form of the script with mechanical requirements’, Linotype & Machinery Limited announced a new Urdu Nasta’liq type, manufactured to be used on the Linotype hot-metal machine. The typeface was designed by the Pakistani publisher Zubair Ahmed Tamannai and followed the model of ‘simplification’ already introduced for the Arabic script, initially inspired by Arabic typewriters. In a somewhat controversial statement Tamannai argued that ‘if Urdu typography is to develop and succeed, Urdu readers will have to adjust their minds to modifications in the shape of the letter, for printing purposes’. This paper explores various aspects of the design and production of Tamannai's Nasta’liq type. It also discusses some of the controversial issues, regarding the ownership of this ‘invention’, which arose between Linotype and Monotype – the two major manufacturers of hot-metal typesetting and typecasting machines. This paper is based on the scrutiny of primary and secondary sources on Linotype & Machinery Ltd held in the Non-Latin Type Collection at the Department of Typography and Graphic Communication (University of Reading), and the archives of Monotype Ltd held at Salfords. Borna Izadpanah is a typeface designer and researcher based in London. He holds an MA in Typeface Design from the University of Reading and an MA in Graphic Design from the London College of Communication. He is currently a PhD candidate at the Department of Typography & Graphic Communication, University of Reading. His doctoral research is funded by the Arts & Humanities Research Council, under the auspices of the Design Star Doctoral Training Centre, and it focuses on the history of typographic representation of the Persian language. Nineteenth-century missionaries were preoccupied with the idea of proselytizing in Imperial China, and with printing the Gospels and Biblical tracts in various Chinese dialects, languages, and scripts. However, prior to 1842, the Qing Empire’s occlusion to Western influences forced different strategies to be set in motion. The resulting ‘wait for China’ saw missionary establishments – sponsored by different societies – dispersed across port towns and suburban locations along maritime Southeast Asian routes to Canton: from the Malay Archipelago, peninsular Siam, to Portuguese Macau. Published accounts often described the efforts of missionaries in bringing print, literacy, and religious salvation to East and Southeast Asia as heroic endeavours circumventing manifold difficulties: from hostile climates, unreceptive locals, to uncooperative bureaucracies. Yet, this evangelical exceptionalism was heavily characterised by a pragmatic impulse, with expedience as a motivational force. Printing endeavours were regularly troubled by lack of technical expertise and the availability of materials required for successful print runs. 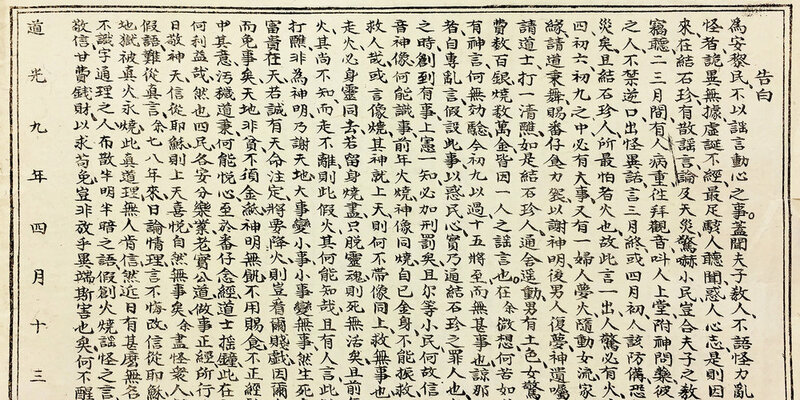 Often, missionaries had to work jointly with other evangelical and mercantile organisations to initiate, and finance, projects that required large amounts of capital, labour, and material resources – for instance, Bible and dictionary printing, punchcutting and typefounding in Chinese, and in Southeast Asian languages and scripts. This paper aims to disentangle the circulatory networks and complex threads of engagement that wove together a regional patchwork of individuals and organisations during the nineteenth century: expatriate missionaries and printers, indigenous assistants and interlocutors, mercantile agents, and bureaucrats of colonial regimes. With new perspectives drawn from archival sources, this paper seeks to re-evaluate evangelical printing endeavours in the Malay Archipelago during this period – not as exceptionalist projects borne by the effort and will of missionaries, but as a series of ad hoc processes primarily shaped by circumstances and pragmatic decisions, and equally marked by missteps, successes, and failures. Wei Jin Darryl Lim is a PhD candidate at the Department of Typography & Graphic Communication, University of Reading. His doctoral research investigates the history, art, and production of the lithographed book in maritime Southeast Asia, and examines book production, printing, and writing technologies. Titled ‘Networks, artefacts, and technology: nineteenth-century Muslim lithographers, missionaries, and colonialism in the Malay Archipelago, 1822–1900’, his thesis seeks to unpick global and transregional networks of print technological exchange, circulation of the material book, and the multiple contesting and complementary narratives that bind facets of literary, printing, technical, and technological histories. Produced in India during the nineteenth and twentieth centuries, Hindu devotional chromolithographs represent an important aspect of the country’s historical and religious development, specifically during the independence movement. The Metropolitan Museum of Art has recently acquired a significant set of chromolithographic prints dating between 1878 and 1930 by different Ravi Varma printing studios. These prints will be the focus of an exhibition in 2019. In preparation for the show, they are the subject of a detailed scientific and technical study, one that includes the characterization of constituents such as papers, printing grounds, colours, and varnishes. One aspect of the research focuses on the use of multispectral imaging (Vis, UV and IR) to identify different printing processes and establish patterns that could lead to the attribution of some of these prints to specific studios. Varnish applications were analyzed as a comparative factor to distinguish between early twentieth century Ravi Varma printing studios in India, such as Press Karla, F.A.L. Press Bombay, and Press Malavi Lonavla. Examination and analysis of more than 20 prints has revealed various deviations within the same printing studio/press and date – and further technical analysis may offer more new information. Emily M. K. Müller is currently an Andrew W. Mellon Fellow at the Metropolitan Museum of Art, New York. She obtained an MA in paper conservation in 2018 at the Stuttgart Academy of Art and Design under the programme Conservation of Works of Art on Paper, Archives, and Library Materials. In 2015, she gained her BA in paper conservation at the University of Applied Sciences and Arts Hildesheim, Germany. This paper explores the establishment, production, and growth of the Native Newspaper Reports (NNR) – a print series integral to colonial knowledge production and governance in South Asia. Instituted in the 1860s, the series involved the appointment of official translators to scan the ‘vernacular’ (non-English-language) press and abstract from it such information – news items, stories, editorials, opinions pieces, letters to the editor – as would be relevant to colonial administration. These pieces were translated into English and digested into a report, one for every province and presidency in British India. Understood as being symptomatic of the surveillance regime instituted by the colonial Raj after the Rebellion of 1857, the content of this series – the produce as it were – has been heavily mined as a historical source. However, considerably less attention has been paid to the production of this series itself, and to the various groups involved in it. In this context, this paper explores how the NNR developed from its somewhat limited beginnings into a colossal project involving scrutiny of hundreds of local newspapers in dozens of languages. It analyzes official discussions exploring the original impetus for establishing the series as well as negotiations about its procedural aspects: how best to organize and communicate the information extracted, who would be the most reliable translators, or how the accuracy of translated material would be verified. It then examines the challenges in utilizing the series as the information generated literally became ‘too much to know’ [cf. Ann Blair, Too much to know: managing scholarly information before the modern age (2010)]. Lastly, it discusses how, recognizing the colonial state’s reliance on the NNR series, editors and journalists inverted the surveillance function of the NNR to argue that their role as knowledge producers entitled them to greater rights and privileges. Ritika Prasad is Associate Professor of History at the University of North Carolina at Charlotte. Her research on colonial South Asia focuses on the history of technological change and on its social and cultural impact. Her first monograph Tracks of change: railways and everyday life in colonial India, 1853-1947 was published in 2015 by Cambridge University Press. She has also published in Modern Asian Studies and South Asian History and Culture. She is currently working on a book that examines the relationship between newspaper press, the colonial and postcolonial state, and a broader public as it has developed in India over two centuries, from the late eighteenth century to the present day. Reframing a binary relationship into a triangular one, the project extricates subterranean histories in which newspapers simultaneously served as imprimaturs and adversaries of state power, while continuing to mediate between an alien colonial state and its vast public. This paper examines some aspects of the material production of books at one of the preeminent printing and publishing establishments in nineteenth century Bombay: the Javaji Dadaji type foundry and the Nirnaya Sagar Press, established in 1864 and 1869 respectively, by Javaji Dadaji (1839–1892). Placing this enterprise in the context of a consequential shift in the materiality of the printed book in India – a shift, that is, from the lithographic to the typographic mode of production – this paper argues that Nirnaya Sagar’s endeavours constitute an important juncture of legitimization: not only of local innovation and technical skill in printing Indian-language texts, but also of the typographically produced book in the region. The dynamics of colonial and evangelical printing and publishing activity have been widely addressed in South Asian print studies, and it has been argued that the ‘proper socialisation’ of print in the region could occur only once publishing could be conducted within the frameworks of local agency. The role of material production in these frameworks is of significant import, as it sheds light on how printing and publishing were mediated through technology, capital (social as well as economic), and networks of skilled labour. Through the activities, and active interventions, of Javaji Dadaji’s typefoundry and the Nirnaya Sagar Press this paper broadly explores how entrepreneurs and printing establishments in colonial India navigated the perceived encroachment (and subsequent appropriation) of ‘western’ technologies. It aims to analyze how the processes of material production channelled notions of technological progress, social mobility, and communal identities, while negotiating contemporary debates over tradition and modernity in nineteenth century Bombay. Vaibhav Singh is currently a British Academy Postdoctoral Fellow at the University of Reading. He trained as a typographer and typeface designer and was the recipient of the Felix scholarship for his doctoral research, which examined the twentieth-century history of typographic design and technological developments in India. His research interests revolve broadly around the history of printing, publishing, design, and technology, with an emphasis on multilingual South Asian contexts. Recent projects have focussed on labour and working practices in the printing industry, transformations across technological change, and transnational professional and commercial networks of print. The Jesuit Mission is known to have brought a printing press to Japan and to have trained local staff for the printing of devotional texts and engraved images between 1591–1614. It was short lived, but nevertheless remarkable enough for the history of printing and printmaking in general. Even more remarkable was that the Japanese artist Shiba Kôkan (1747/48–1818) taught himself the Western technique of etching and printing intaglio plates by means of Dutch reference works in 1783, and that from then onward, without any direct contact with European printmakers, a true Japanese School of Etching developed for a century independently. Nearly a hundred Japanese printmakers created thousands of etchings appearing unmistakably in a style of their own. After the opening of Japanese harbours to foreign ships in 1854 Western knowledge was introduced to the country at large scale. This included the renovation of the existing system of paper currency. Japanese etchers had produced bank notes before but in 1875 Italian Edoardo Chiossone (1832–1898), a specialist in printing papers of value, arrived in Japan to share his expertise with the Japanese Mint. Furthermore, he taught artistic intaglio printmaking, while simultaneously Japanese artists began studying printmaking in Europe and America. After this we cannot speak of a Japanese School of Etching anymore. As much as the colourful Ukiyo-e woodcuts are famous worldwide since the nineteenth century, outside of Japan the Japanese School of Etching is hardly known and only Shiba Kôkan’s work is discussed by Western print researchers. This paper will offer an overview of the Japanese School of Etching from 1783–1900, examining the Dutch reference works on which Japanese etching techniques were based, and discuss how Japanese etchers adapted local materials to Western intaglio printmaking processes. Expect only a few little disturbances from time to time. Rest assured, your email or any related information will never be shared with anyone by Contextual Alternate.